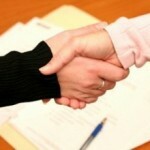 11 Free Tips to Hep You Negotiate Better! 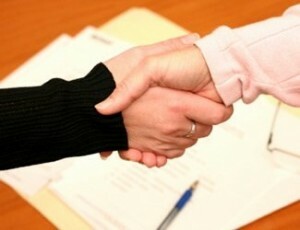 Here are 11 free negotiation tips that will make you a much better negotiator! The art of negotiating is probably one of the most important skills we learn in life. We are negotiating every day, multiple times a day. Some people just do not realize it. Here are some quick and simple thoughts that should allow you to come out on top at your next negotiation. Use these negotiation tips to make your next negotiation a successful one. 1. Everyone negotiates: Your wife, kids, co workers, companies, governments, etc. Life is about negotiations. We do not call it “negotiations” in most instances, but that is what it really is. We are constantly working to give, get, not give, and not get. This is negotiations in its truest form. Just be aware that a lot of what we do in life is negotiation based. 2. Stay calm and cool when negotiating: Effective negotiators know everything they need to know to negotiate a great deal. They also know all of their options. This give them a very clear sense of what they can and cannot do. This lets them know what strengths to work from and weaknesses to keep hidden. This allows them to stay calm. It also give them a very clear understanding of what a good deal would look like, and even more importantly what a bad deal might look like. Once you define what a good deal looks like it allows you to stay calm and focused to go after that deal. 3. Know what kind of position the person you are negotiating with is in: It is key to know as much as you can about the position the person you are negotiating against is in. You need to know as much as you can about the cards they are holding. The more you know about them and what they are trying to get, the better off you are. So do your homework before you even start to discuss negotiating. Know the people you are negotiating with, and know what their strengths and weaknesses are as much as possible. 4. The person I am negotiating with cares about me: The thought that the person or people you are negotiating with will take care of you because they care about you and that they are good people is not a good assumption to take while in negotiations. People do care, but in a negotiation they will almost always end up doing what is in their best interest and right for them. This is especially true in business negotiations. It is human nature for most people to do what is best for themselves, so do not be fooled by thinking the other guy or gal is looking out for your best interest. 5. Smartest person always wins the negotiation: Thinking that your superior intellect will out match anyone you may have to negotiate with is not a good mindset. I have won many negotiations by allowing someone’s arrogance and so called superior intellect to get in their way. Arrogance is such a funny thing. It makes people think they are superior when in reality it really prevents them fro m truly excelling or finding success. Usually it is not the smartest person at the table it is the most prepared person with the most options and best ability to walk from the deal that will win in a negotiation. 6. Winners and Losers in Negotiations: Despite what they say, there is always a winner and a loser in a negotiation. There will be very few times when you negotiate something and you are not sure if you were the winner or the loser. The objective in most negotiations is to come out on top. Work with this mindset at all times when negotiating. 7. There is such a thing as negotiating fairly: Yes, you can negotiate in a proper, ethical, and moral manner. Negotiating fairly is key to any negotiation. If you totally take advantage of the person you are negotiating with and end up getting a lop sided deal, sure it is great for you, but the chances or working with that person again may disappear quickly when they realize you took advantage of them. Always negotiate to get the best deal, but do not destroy the other person in the process. Make sure it is a reasonably sound deal for both parties. This will insure you can do business again in the future. 8. Money blinds people in negotiations: Money blinds people all too often. They lose their ability to see anything but dollar signs. It can blind you from doing what is right, and it can blind you from negotiating effectively and fairly. Keep your wits about you. It is key not to take your eye off of the end goal and that is to win the negotiation. Do not let the amount of money distract you in a positive or negative way. Just focus on negotiating the deal. Try to take all of the feelings out of the deal and the negotiations. 9. The party that has the least to lose usually wins the negotiation: The person who can walk away from the table and still continue on is the one who usually wins the negotiation. If you have the ability to walk then the deal is not crucial to your survival. This puts you in a very good place when it comes time to negotiate. Always try to be in a position where you can easily walk from the deal. You may be surprised how quickly the other side negotiating with you chases you to offer you a better deal than they had before. 10. The person with the most options will usually win the negotiations: Knowing all of your options is key to negotiating. Options equal opportunities when you are negotiating. The more options and moves you can make the better the chances of coming out on top. One option should always be to walk from the deal if possible. 11. You have to ask for it to get it in a negotiation: You will never get what you do not ask for: If you want something, you have to ask for it. It pays off handsomely to ask in a negotiation. It always amazes me how often I get in a negotiation and negotiate everything that I want. So I have the deal I want in hand, and then I ask for one more thing just to see if I can get it and to sweaten the deal for my side, and the other side gives it to me. Be clear on what you want before the negotiation starts, and ask for all of it if possible. You have to ask to get something when negotiating. The worst someone can say is no, and this will allow you to gauge what they are willing and not willing to give up on the deal. A cool head, a sharp mind, and having accurate data put’s you in a competitive spot to win most negotiations. Use these steps and I assure you that your next negotiation will go much better. For the best business tips and the best negotiating advice, go to www.topsuccesssite.com. Top Success Site offers the best business advice as well the best personal development information on the web!